At 65, he is already eligible for a State pension and, like most people of a similar age, he could be putting his feet up, enjoying the fortune he has amassed from a lifetime spent in the City. But that is not the way Terry Smith, founder of asset manager Fundsmith, goes about things. Like the legendary stock picker Warren Buffett, who is still investing in his late 80s, maverick Smith, the son of an East London lorry driver, has no intention of pursuing the quiet life. He is addicted to making money for investors and his small team. The only concession he has made in his frantic working life is that he now runs Fundsmith from offices on the sun-kissed island of Mauritius, some 6,000 miles away in the Indian Ocean. Flip-flops, running shoes – and not a pair of slippers in sight. Rather than dubbing him the ‘Maverick of the City’ on account of the frequent spats he has had with previous employers – Barclays and UBS Phillips & Drew – he is now known as the ‘Maverick of Mauritius’. Unique, outspoken, demanding of himself and colleagues, and fit as a Mauritian flying fox. 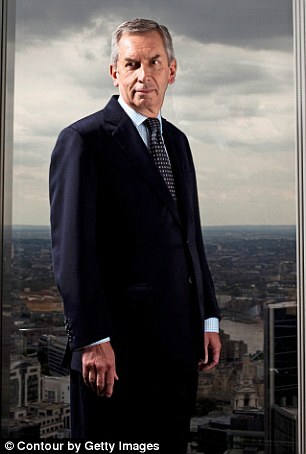 In eight years, his investment management operation has amassed assets of £18 billion. Through the fees from the funds he runs, he has built an investment operation spanning three continents (from the UK, United States and Africa). The main investment fund, Fundsmith Equity, has won a stream of accolades for its sustained outperformance against most rivals. Anyone investing £10,000 in the fund’s launch at the start of November 2010 would now be sitting on an investment worth £40,240. The same investment in a fund tracking the FTSE All Share Index would have generated a pot worth less than half that. There is nothing complex about the investment process – a portfolio of 27 blue-chip global stocks that have been meticulously researched and which Smith is confident he can hold long term because of their quality and ability to deliver earnings growth. But Smith is not content to sit in his magnificent Mauritius home, gloat and quietly drink the local rum. He is now busy overseeing the launch of the company’s latest fund, an investment trust that will invest in a mix of small and medium-sized global companies. Bar a global stock market meltdown, it is likely that Smithson – yes, correct, son of Fundsmith – will attract the £250 million it is looking for from the City’s smitten wealth managers, high net worth individuals and family investment offices. Smith is something of a recluse, rarely engaging with the media – or the companies he invests in – but he has agreed to speak to The Mail on Sunday from Mauritius in his first interview since unveiling his new fund last week. He tells me that he will shortly be participating in some Thai boxing and dragging a rubber tyre behind him as he runs on the island’s golden sands. No gain without pain. Apart from the good life, there are sound business reasons for Smith living in Mauritius. 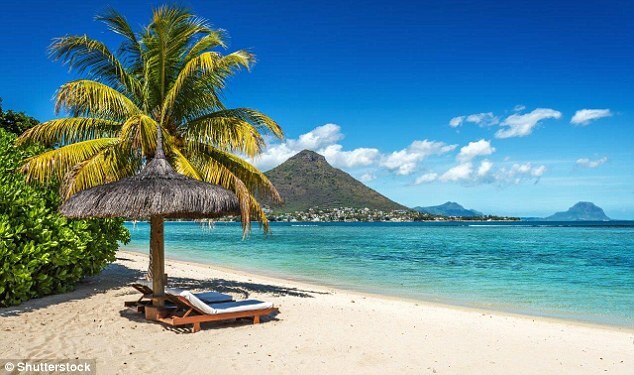 Fundsmith opened an office on the island when it launched an emerging markets trust in summer 2014 – the logic being that the time zone Mauritius sits in means that the small management team is closer to Asian equities and their trading hours. Lives: Mauritius (regular visits to London). Marital status: Has a partner (but prickly when questioned about revealing further details). Two daughters. 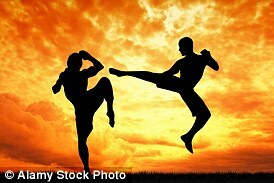 Day in the life: A bit of Thai boxing sparring with a special passion for Muay Thai, a vicious form of fighting. A run with the obligatory tyre tied behind him on a Mauritian beach. And, of course, plenty of reading (company research reports), conversations and email exchanges with staff in London and Connecticut, New England. Hates: Golf – which is a shame given that Mauritius, is known for being a haven of excellent courses. 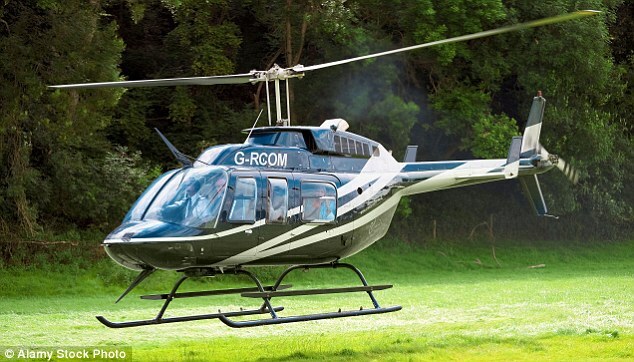 Loves: Flying a helicopter, although these days he does not have time to indulge this passion. Rock of his working life: Julian Robins, head of research at Fundsmith. Smith’s backstop. Early career: Littered with controversy. At Barclays Bank investment arm BZW, he told investors to sell shares in the bank (oops). Later, at UBS Phillips & Drew, where he was head of UK company research, he published a book, Accounting For Growth, which stripped away the camouflage hiding the truth behind many companies’ accounts. Refusing to withdraw the book, he was promptly sacked (oops, again). Later career: Great success as boss of financial group Collins Stewart and later broker Tullett Prebon. Grown Fundsmith from nothing (2000) to a firm managing assets of £18 billion. Smith says the more time he spent visiting the island and his company’s offices, the more he fell in love with it. A place he likes – and where he can get away from the ‘noise’ of the market. He says a lot of his time is spent crawling over research notes and broker reports on companies he is invested in or has targeted as a possible fundholding. Communications are good and, when he has to, he spends time back in the UK. ‘I spent most of the summer in London,’ he says somewhat defensively, as if he is reconfirming his patriotism. Unlike previous Fundsmith offerings, Smithson will not be managed by Smith. Instead, two fresh-faced recruits from investment bank Goldman Sachs have been brought in to run the trust – 39-year-old Will Morgan and Simon Barnard, two years his junior. For the past year, the two have been working on putting together a list of stocks they are prepared to invest in. They have boiled it down to an investible universe of 83 companies although the trust will hold around 25 at any one time. Barnard will have the final say on stocks to be sold or bought although – of course – every portfolio decision will have to be discussed with Smith. Some commentators draw parallels between Fundsmith and Woodford Investment Management, the asset manager run by another legendary fund manager Neil Woodford. By launching the new trust, they fear Smith may be spreading himself too thinly and leaving the new trust’s fate in the hands of others. He will have absolutely nothing of it, pointing to the £25 million of personal wealth he is lobbing into the trust at launch. Smith is unwilling to speak about Woodford’s recent difficulties – poor stock selection and the indifferent performance of trust Patient Capital. Instead, he points to his long City record as evidence that he can cut the mustard. A CV that proves beyond doubt an ability to run successful businesses – before Fundsmith, financial group Collins Stewart and then broker Tullett Prebon. More recently, the acumen to lead Fundsmith while also managing money – two different skills which Woodford appears to be struggling with. Smith has also never wavered from a precise investment process – investing in ‘quality’ companies that make large returns on capital and have little borrowing. By way of contrast, Woodford made his name making astute sector bets while at fund manager Invesco Perpetual in the 1990s and 2000s – avoiding the dotcom implosion of 2000 and being out of financial stocks when the 2008 global crisis gripped. But since he set up his own investment house, he has been prone to making bad stock picks across sectors – the likes of Provident Financial and transport company Stobart. Smith is proud of the team he has assembled at Fundsmith and the success they have enjoyed. Indeed, as the phone link between London and Mauritius breaks up, he leaves me with a final thought on that very issue. I imagine a career in the SAS would have suited him right down to the ground.